Members of the Task Force Against Kaiduan Dam, led by Diana Sipail (third from right), handing over the memorandums to Chief Minister Shafie Apdal (centre) at the Sabah state assembly building today. 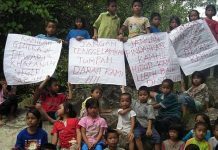 The Task Force Against Kaiduan Dam (Takad) had been wanting to see the state’s leader for a long time and they made the most of the five minutes or so they had with him today, urging Shafie to reconsider plans to build the dam. 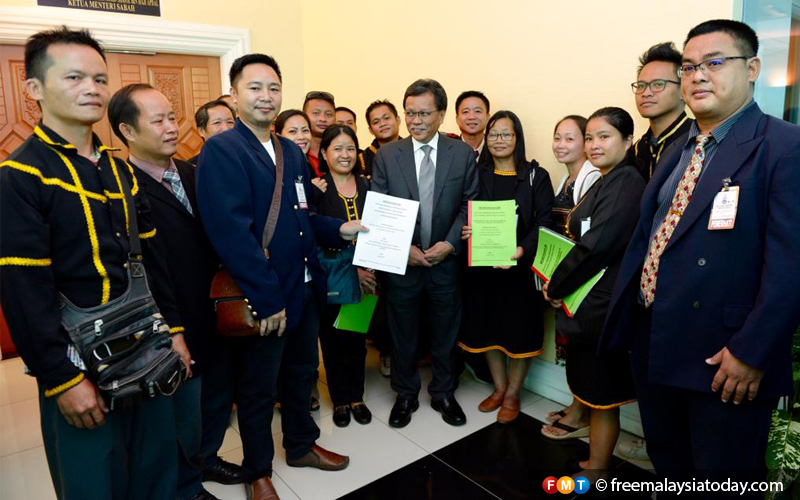 Takad spokesperson Diana Sipail said the group handed over two memorandums to Shafie at the Sabah state assembly building. 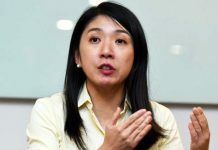 She said the project will affect nine villages in Penampang and four in Papar along the Papar River where it will be built. The memorandums state the reasons why the dam should not be built and how it violates the villagers’ right, and proposes alternatives. “We are happy to finally meet up with the chief minister to present the memorandums to him. “This gives us hope that there will be an alternative to building the dam. We hope the government will look at our proposals and also stick by their election manifesto,” Sipail told FMT. She said they were upbeat after seeing Shafie’s response. 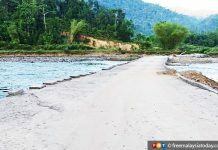 Takad had recently questioned why Sabah Infrastructure Development Minister Peter Anthony had announced the go-ahead for the project when it was clear the community’s input had yet to be taken into consideration. Sipail said the environmental impact assessment (EIA) report must be scrutinised, adding that all stakeholders should be involved in the decision process. She said the construction of the Papar Dam – known as the Kaiduan Dam previously – will affect a total of 3,292 people. She said that according to an independent study, the villages along the Papar River are located within the Crocker Range which is rich in biodiversity and still untouched. The study also found that the villagers still practise their traditional way of living passed down from their forefathers, she said. Sipail also said the memorandums pointed out that the government had not given proper consideration that the state’s water supply problem was due to high instances of non-revenue water. She said the villagers were prepared to assist the government in tackling the water shortage on the west coast but not at the expense of sacrificing their land and way of life for an unsustainable dam project.